New York Mets’ Gerson Bautista features a mid-90s fastball, which can get into the high-90s, a slider and a splitter that evolved from a change up. Bautista has had command issues and his injury history makes him a high risk/high reward prospect for the Mets. After signing with the Red Sox as an international free agent in 2013 he was suspended that year after testing positive for metabolites of Stanozolol. In 2014, Bautista debuted with the Red Sox Dominican Summer League team where he posted an ERA of 1.03 in 63 innings. In ’15, Bautista went to the Guld Coast League where he had a 2.77 ERA in 52 innings. After being used as a starting pitcher in 2014 and 2015, the Red Sox decided to permanently move Bautista to the bullpen in 2016. He continued to progress nicely as he put up a 2.55 ERA in 35.1 innings in Low-A and Mid-A ball. In the first half 2017, Bautista regressed in High-A ball, he had a 5.16 ERA in 45.1 innings and walked 28 batters. 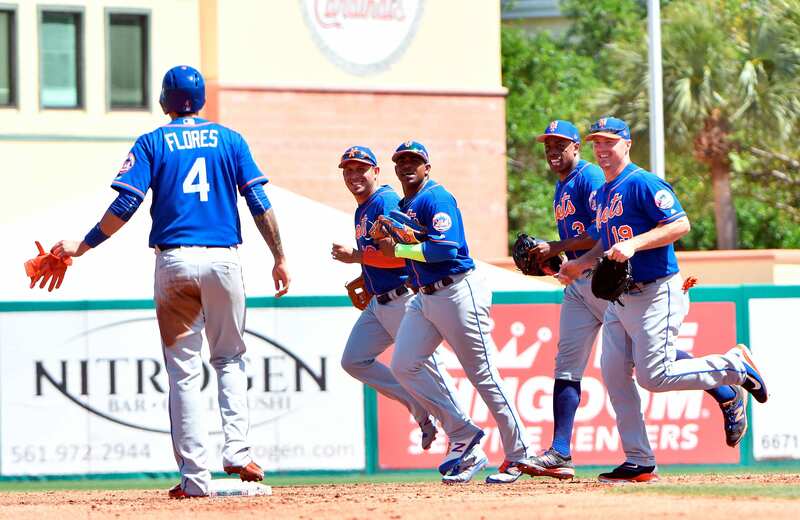 When Bautista arrived to the St. Lucie Mets he found his was again and only gave up 2 earned runs in 14.1 innings. He expects to spend another year in St. Lucie and will move up to the Double-A Rumble Ponies if he continues to improve his command and limit his walks. Spending time around Jeurys Familia and A.J. Ramos will be a good influence on the 22-year-old prospect.